Alcoholism is a chronic disease. “Chronic” means that it lasts for a long time or it causes problems again and again. The main treatment for alcoholism is to stop drinking alcohol. This can be difficult. Most people who are alcoholics still feel a strong desire for alcohol even after they stop drinking. Naltrexone is a medicine that reduces your desire for alcohol. It comes under the brand names ReVia or Vivitrol. 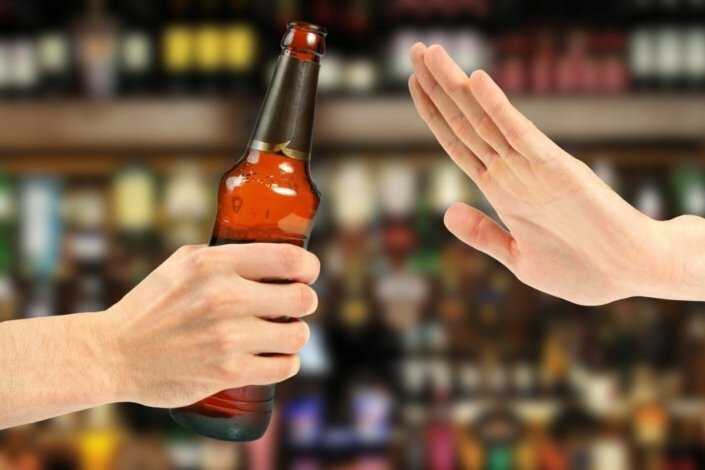 After you quit drinking, naltrexone may help you stay sober for a long time. This medicine is not a complete cure for alcoholism. But it can help you stop drinking while you get any other treatments that your doctor recommends. When you use alcohol and narcotics, parts of your brain make you feel pleasure and intoxication. Naltrexone blocks these parts of the brain. When these areas are blocked, you feel less need to drink alcohol. You don’t feel the “high” sensation that makes you want to drink. This helps you stop drinking more easily. Disulfiram (brand name Antabuse) is another medicine that is sometimes used to treat alcoholism. But unlike disulfiram, naltrexone does not make you feel sick if you drink alcohol while taking it. How long will I take naltrexone? You and your doctor will decide how long you should take naltrexone. Most people take the medicine for 12 weeks or more. Researchers have found that taking it for longer than 3 months is the most effective treatment. Be sure to take naltrexone as your doctor prescribes it. Don’t take extra pills, don’t skip pills, and don’t stop taking the pills until you talk to your doctor. For those who don’t want to take a pill every day, naltrexone is also available in a shot. You get the shot once a month. It has the same effect as the pill form. Will I need other treatments for alcoholism? There may be special centers in your area that offer this kind of treatment. Your doctor can refer you to the psychosocial treatment that is right for you. If you get any of these side effects, tell your doctor. He or she may change your treatment or suggest ways you can deal with the side effects. What should I know before starting treatment with naltrexone? Naltrexone blocks the brain areas where narcotics and alcohol work. So you should be careful not to take any narcotics while you are taking naltrexone. These include codeine, morphine, or heroin. Do not take any cough medicine with codeine in it while you are taking naltrexone. Naltrexone can cause or worsen withdrawal symptoms in people who take narcotics. You must stop taking all narcotics 7 to 10 days before you start taking naltrexone. You shouldn’t take naltrexone if you’re pregnant. Talk about birth control options with your doctor. It’s not known if naltrexone goes into breast milk. Do not breastfeed while you’re taking it. I want to stop drinking. Is naltrexone a good option for me? Can I still drink alcohol when I’m taking it? Will I still get drunk if I drink alcohol while I’m taking it? What happens if I take street drugs while I’m taking it?